We can supply and fit all types of uPVC windows, doors and conservatories across Yorkshire. Free quote and installation across Yorkshire on all Soffits, Fascias and Gutters. Free quote and installation across Yorkshire on all Windows, Doors and Conservatories. 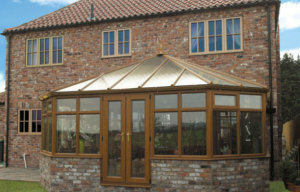 Free quote and installation across Yorkshire on all our high quality Conservatories. Like climbing Everest or diving to the coral in the Deep blue sea we will give customer satisfaction globaly to supply & install pvc windows, doors, conservatories, soffit facia gutters & sealed units throughout Yorkshire including Rotherham, Doncaster, Sheffield, Barnsley & York. We cover all of South, North, East & West Yorkshire. Glacier Roofline are Specialist's in the replacement of PVC Fascias/Soffit's and Guttering. We use only the best Products in all of our Installation's. Glacier are proud to use Homeline Cellular Product's on all of it's Installation's. At Glacier We believe first Impression is one of the most Important Issues when you decide to sell your Property. That's where we at Glacier can help by replacing your existing timber boards with Homeline pure Roofline product's. Keeps water out and allows roof to breath. Fitting of Eavesguard/Birdguard will protect your roof from Vermin/Birds/Insects and Bat's. It improves the look and performance of your roof and also adds value to your property. So let us fix it and you can rest assured that you will be able to relax knowing that your Property works and performs 100% of the time for many years to come. Please take the time to look around our Website for more in depth details of all our work and the products that we offer.